The EuSpRIG management committee is the main executive body. It meets monthly by teleconference to manage and plan EuSpRIG’s affairs. The Officers comprising Chairman, Treasurer, Secretary and the remaining committee members are nominated at a biennial AGM which occurs after the main conference to which all EuSpRIG delegates are invited. The present committee were nominated at the AGM in Paris on 3rd July 2009. The Organising Sub committee plans and executes each EuSpRIG conference. They are responsible for organizing the venue, accommodation, catering, agenda, dinner, prizegiving and sponsorship. The chair of the organizing committee reports back to the management committee on a monthly basis. The Programme Sub Committee manages the peer review process for papers submitted to EuSpRIG. They liaise with likely, aspiring and regular authors, providing advice and guidance on the submission of papers and abstracts. The Programme chair despatches papers for peer review and manages the collation of reviews and feedback to authors. The committee provides advice and guidance on the acceptance and rejection of papers. The chair of the programme sub committee reports back to the management committee on a monthly basis. 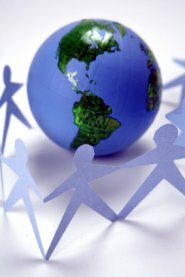 Grenville J. Croll is a specialist in spreadsheets, spreadsheet applications and spreadsheet risk research. He has extensive experience in business management and has consulted in the areas of risk management, monte carlo simulation, project management, financial modelling, financial forecasting and food process optimisation. He is the previous chairman of EuSpRIG, the spreadsheet risks research organisation. 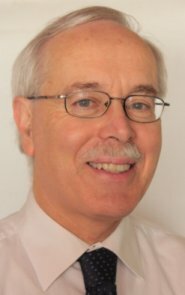 His recent work in Software Engineering, Theoretical Physics and Cryptography is published on www.arxiv.org, Cornell University’s moderated scientific repository. 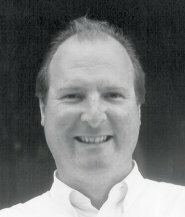 Patrick has 40 years of professional experience, 25 of them in his own company Systems Modelling Ltd. in Ireland. His current focus is on spreadsheet quality assessment and training. He is the author of 'Spreadsheet Check and Control', ISBN 190540400X, and software tools. He is a Fellow of the Irish Computer Society; was the chair 2004-2007 of the European Spreadsheet Risk Interest Group (EuSpRIG), and the chair of the Software Testing Interest Group in Ireland (SoftTest). He has extensive experience in general IT consultancy, systems selection, and software maintenance for businesses. David Colver is Joint Chief Executive of Operis, a London-based firm engaged in various activities involving financial modelling. Previously he worked for Strategic Planning Associates, a Washington-based strategic management consultancy that is now part of Oliver Wyman, and before that spent eight years in the corporate finance department of N M Rothschild, specialising initially in the analysis of major projects in the natural resources sector, turning later to the privatisations on which that bank was a prominent adviser. David holds a degree in Computer Science from Christ’s College, Cambridge. He has also completed the Corporate Finance Programme of the London Business School, and the Owner-President Management Programme of the Harvard Business School. 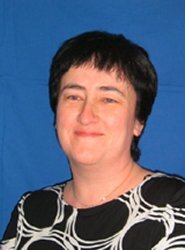 Angela works as a Financial Modeller for Novus - the main provider of Prison Education in the UK. She has a wide range of financial modelling experience gained both in practice and industry. She has particular expertise in building and reviewing complex operational and PFI/Infrastructure models. Angela works closely with large teams of non-modellers and is especially interested in improving the modelling skills of non-technicians. Dr Simon Thorne is a Lecturer in information systems and computing at the University of Wales Institute Cardiff. Simon completed his PhD in 2008 on the subject of alternative modelling techniques for the reduction of error in decision support spreadsheets. He has presented papers at EuSpRIG, Sprig and the spreadsheet track of the Hawaii International Conference on Systems Science. Simon continues to research and supervise students in the emerging discipline of spreadsheet research. 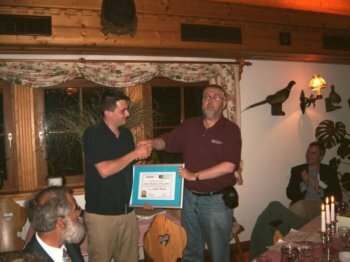 A youthful Simon Thorne accepting the 2004 David Chadwick prize from Ray Butler in 2004 at Magdelsberg, Austria. Professor Roland Mittermeir looks on from the left.